Spanish inspired Fruto del mar. 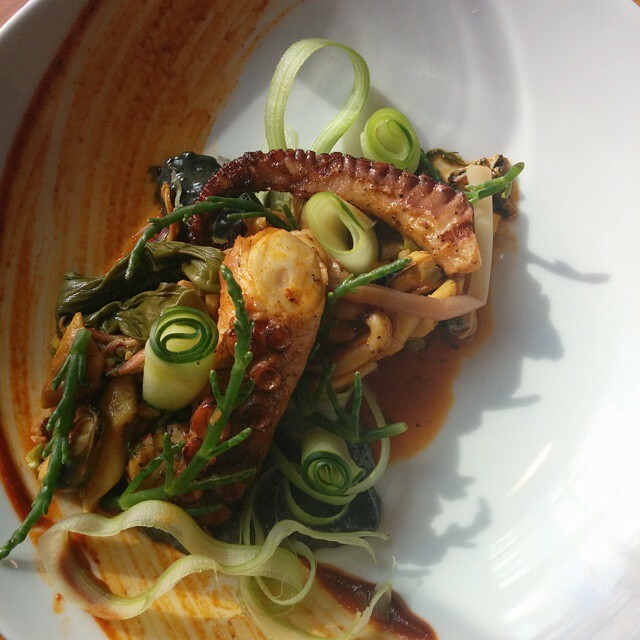 Grilled octopus, braised calamari, mussels, pickled ramp squid ink aioli, gear. Tasty plate of the seas.